MEDICA, the largest medical equipment trade fair, and COMPAMED, the leading international supplier trade fair, was held in Germany from November 12 to 15, 2018. MEDICA and COMPAMED are held at the same time every November in Dusseldorf, Germany. This year they celebrated their 27th anniversary with 5,273 exhibitors from 66 countries. This accounts for more than an 80% share of the market, a new record for MEDICA. Over 120,000 visitors from 155 different countries had access to the most extensive and internationalized fair than ever before. 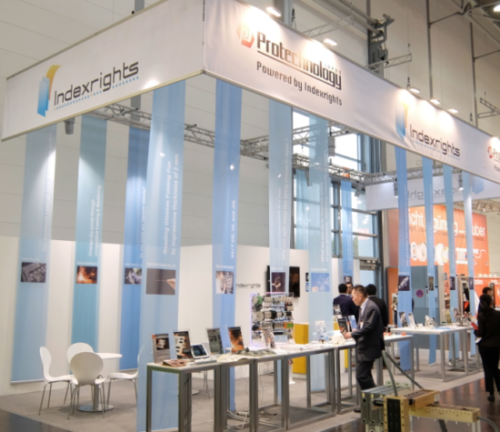 Indexrights appeared at COMPAMED for the first time in 2014 with fourteen carefully selected Japanese small-to-midsize enterprises (SME’s), all of whom represented the highest quality standards in the world. There is a long history of Japanese exhibitors at this fair. For example, Kobe Cluster exhibited their products more than 10 times at this trade fair. However,back in 2014 it was quite rare to find SME’s at these international exhibitions. Rather than the usual government pavilion booths, these SME’s were privately showcasing their technologies on a different scale. Visitors were surprised to see us there with such cutting-edge technologies and products. Our partner company in Germany, OMB Management, visited the trade fair and they were really surprised to see the sheer number of Japanese companies participating in the trade fair either as an exhibitor or as a visitor.164 exhibitors from Japan were showcasing at MEDICA 2018, demonstrating just how globalized the market has become. The next MEDICA & COMPAMED in Düsseldorf will be held from November 18-21, 2019. We strongly recommend that you attend and discover Japan’s top-quality products and technologies first-hand.